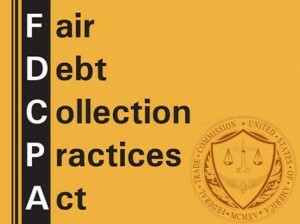 The Fair Debt Collection Practices Act (FDCPA) was created as a Federal statute in the year 1978, as Title VIII of the Consumer Credit Protection Act. The purpose of this act is to eliminate harassment of a consumer in the process of debt collection. The Act specified a list of do’s and don’ts while collecting debt. It also defined the Consumer’s rights under the Act. The Fair Debt Collection Practices Act was intended to apply to third party debt collectors and not to the employees of the original creditor. Federal Courts have ruled that a third party debt collector cannot be regarded as the creditor and comes under the FDPCA Statutes. The definitions of ‘consumer’ and ‘debt’, under this Statute, cover only debt in relation to family, household and personal transactions. Business transactions are outside the purview of the Act. US Government employees are also exempt when they try to collect taxes owed to the IRS, but they have to follow the ‘Fair Tax Collection Practices’ as per the IRS Code section 6304. * Phone Contact – all phone contact has to be between 8.00 a.m. and 9.00 p.m., local time. * Cease communication when requested – once the debt collector receives a written notice to cease communicating with the consumer, then all further communication with the consumer has to be stopped and collection can only be done by litigation. * Causing a Telephone to Ring Continuously either directly or indirectly – this should not be done so has to harass or annoy the called party. * Contacting a Customer when an Attorney is representing – only the Attorney can be contacted. * Communicating with Consumer when validation request has been given – during the 30 day validation period, if the consumer makes a written request for original creditors name and address, then no contact is permitted. * Misrepresentation or deceit – the debt collector cannot misrepresent himself to be a attorney or law officer. * Causing the Consumer’s name or address to be published in a ‘bad debt’ list. * Trying to collect unjustified amounts – only the original amount as per the contract can be collected. * Threatening legal action or arrest – threatening arrest is not permitted. If legal action is not contemplated then the threat is illegal. * Communicating with third parties – a debt collector is not permitted to inform a third party any details about the debt. * Contacting by using embarrassing media – the communication sent should not reveal it to be from a debt collection agency. * Reporting false information on a consumer’s credit rating or threatening to do so is prohibited. * Reveal identity and inform customer that the communication is from a debt collector and any information obtained, can be used to effect collection. * Inform the Consumer the name and address of the original creditor, when the request is made by Consumer within permitted time. * Notify the Consumer that he has the right to dispute the debt, either in part of full. * Provide verification of debt – if the Consumer sends a written dispute/request, then the debt collector must provide the information or stop all efforts at collection. * Lawsuit has to be filed in a proper venue – if the debt collector decides to file a lawsuit, it can only be done where the consumer resides or where the contract was signed. The enforcement of the FDPCA is done by the Federal Trade Commission. The Fair Debt Collection Practices Act is a strict liability law and is weighted in favor of the Consumer. Credit bodies have asked for the Act to be modified, since frivolous law suits are filed citing minor violations. Why Should You Hire A Debt Collector?